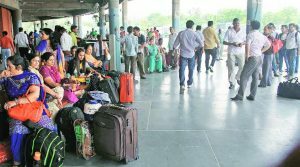 Railways may revise the flexible-fare system in light of repeated complaints by the passengers about high prices of tickets and many of its seats going vacant. Speaking at a press conference, Railway minister Piyush Goyal had said, “The issue of the flexible-fare scheme has been brought to my notice by the people. It could be improved in a way that it meets the revenue target without hurting people’s pocket.” He had added that the ministry was planning to increase speeds of 700 mail and express trains from November 1. While the ministry’s move to revisit the surge pricing model may be welcomed, there are other issues as well that needs its immediate attention. 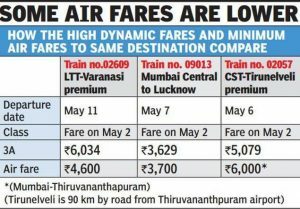 The government has introduced dynamic pricing in premium trains and even in special trains last year. Though the Railways has earned around Rs 540 crore from September 2016 to June 2017 through this scheme, fewer people rode in the premier Rajdhani, Shatabdi and Duranto trains since its launch. The initial review suggested that revenue had increased at the cost of loss of occupancy in some of the trains. Also, many special trains ran vacant due to exorbitantly high fare, thus failing to decrease the passenger load from regular trains. The government, which has till now allowed only 10 per cent of the seats to be reserved, is mulling to reserve about 50 per cent berths in premier trains including Rajdhani Express. the move seemed to have backfired. A survey conducted by RailYatri.in last year revealed that the increase in the advance booking period from 60 days to 120 days had led to the speculative reservation of train tickets. Even the UPA government had once extended the reservation period to 120 days and subsequently rolled back the scheme to 60 days on same grounds. It’s not very usual for a person to plan his journey four months in advance unless the occasion is of marriage or a festival. On busy routes like those to Bihar, West Bengal and UP, if the ticket is not booked when the window opened, one will either get waitlisted or have to contact a tout for a tatkal ticket at a much higher price. Even if you travel in the best of trains including Rajdhani, Shatabdi, Duronto, the food quality has always been a major concern. Last month, a passenger found a bug in a snack served by pantry staff of Bihar Sampark Kranti Express. Earlier in July, a passenger travelling in Purva Express found a lizard in the vegetarian biryani he had ordered. In March, passengers of two coaches of the New Delhi-Sealdah Rajdhani Express alleged that the food served to them at Kanpur was stale and many of them had vomited through the night after consuming it. 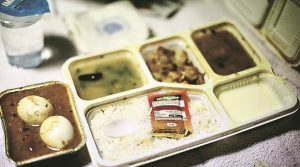 Even the Comptroller and Auditor General of India (CAG) has rebuked the railways for serving food that was found to be contaminated and expired. 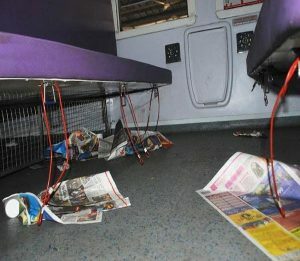 In a report tabled in Parliament, the CAG said the food served was unfit for human consumption and that fungal growth, rats and cockroaches were found in the pantry cars of even premier trains. Most of the trains don’t run as per their ascribed schedules. Especially in Northern and Eastern railways, train delays have, more or less, become usual. Trains from New Delhi to Bihar, Uttar Pradesh and West Bengal run late all year round. More than 80% of trains in this region get delayed due to the infamous Allahabad – Kanpur – Mughal Sarai corridor where hundreds of trains have to be accommodated on limited tracks. However, the ministry has aimed to improve the punctuality rate up to 95 per cent from the current 80 per cent (overall). 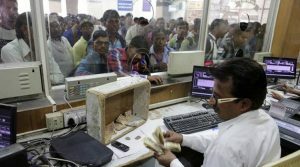 Earlier this year, former Railway Minister Suresh Prabhu committed to providing confirmed tickets on demand on all trains by 2020. However, on certain routes, it’s difficult to book tickets even in the first hour of the first day of the four months period. Even booking Tatkal tickets on IRCTC is no less than a struggle, one has to know all the tricks for faster booking then only he or she stands any chance. Also, the alleged nexus of touts and Railway staff makes the booking tougher at ticket windows. One of the major problems that Railways faces in keeping trains clean is lack of awareness among riders who only expect the government to perform its duties and forget about their own responsibilities. There is no denying that Railways have worked hard to improve in this area. The introduction of bio-toilets, toiletries, bidets in upper-class coaches confirms their commitment to the cause, still, such measures should also be introduced in lower-class coaches. We have seen what happened to Mahamanna Express that was launched from Varanasi with much fanfare. Lavatory taps, hand showers and carpets were missing from coaches after the train returned to Vadodara from Varanasi. 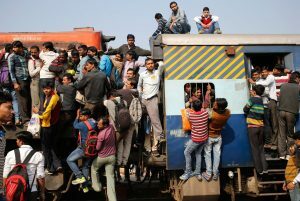 We have seen people with wait-listed ticket travelling in sleeper and AC coaches, also in some cases students travelling for some public sector exams overcrowd the whole compartment. These extra passengers not only sit in aisles, or near the door, at times they also occupy reserved seats causing inconvenience to everyone. In certain trains, the number of wait-listed passengers soar up to 300-400 per day. 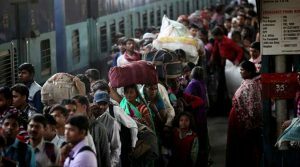 Records show that in 2016-17, 6,22,867 passengers travelled from Darbhanga to Delhi with the additional waiting of 2,05,192 in Bihar Sampark Kranti Express making it the most crowded train in the entire Indian Railways. Similarly, the same train had 6,31,470 passengers with additional waiting of 1,97,480 in its return journey from Delhi to Darbhanga. We sincerely hope that Railway Minister takes due note of these problems too.